Based out of Wales, Venom Prison are ready to introduce themselves to the public. The fresh metal band features (former) members of Wolf Down, Brutality Will Prevail and Desolated. Vocalist Larissa took the time to answer some questions and give Venom Prison a proper introduction along with the new tracks which you can stream below. Please introduce your band and its members. After Wolf x Down, you were part of other projects such as NA’AMAH and Clandestine aD. Both projects resulted in releases that were put out by Evil Greed, but you guys rarely perform live, correct? What’s your vision for this third project? How did you come up with the band name, Venom Prison? You recorded everything yourselves; Besides a financial benefit, was there any other reason and how did this work out? What can we expect from Venom Prison in the near future? Stream the 5 tracks from their demo tape in the Bandcamp player below and make sure to get your hands on one of them. 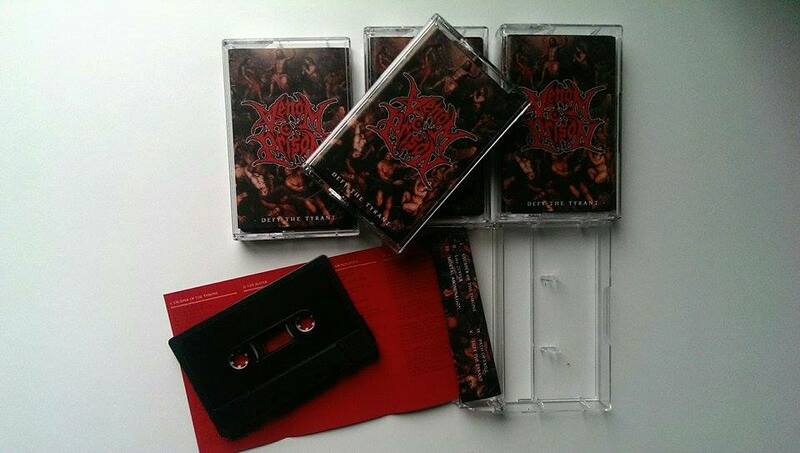 Tags: Bandcamp, Brutality Will Prevail, Clandestine aD, EP, Facebook, Introduction, Larissa, Metal, NAAMAH, Stream, Tape, Venom Prison, Wolf Down. Bookmark the permalink.